Make no mistake, this is a dark story. Not for the faint of heart. 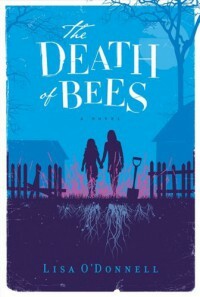 This book was compared to "The Secret Life of Bees" and I have to say it is a much more grimy, gritty, nasty tale of two young girls left to fend for themselves after the 'death' of their parents. The comparison is way off base, let's get that straight!! It's been quite a while since I read a book in one sitting, but that's exactly what happened with this one and I'm not sure exactly why. After about Chapter 3-4, I thought I'm not going to finish this. 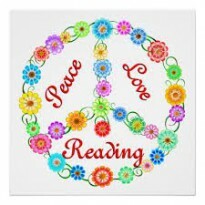 Instead I kept reading. Kind of like when you pass an accident and you can't help but look. Yes, just like that. The way the author kept referring to the stench of death in the house, in the bedroom of Gene and Izzy even though Marnie scrubbed and scrubbed with bleach. The way Marnie looked out for her younger sister Nelly, Nelly's idiosyncrasies, Lennie's story, the ice cream man/drug dealer, Vlado, the grandfather, every single character was developed with a dark side. I have to give this book four stars because I did read it in one sitting, I kept turning the pages on this glimpse of the darkness of humans, I came to care about what happened to the girls and Lennie, but as I said this is not a feel good kind of story and definitely not for the faint of heart.